Attending an open course is not only a highly cost effective way of learning, it also gives you a chance to interact with your peers from other organisations, taking on board their viewpoints and experiences. In order to optimise your learning experience, most of our courses are purposely run with small delegate numbers and are generally capped at 12. Book now to avoid disappointment! RMI has been training and coaching recruiters for over 20 years. For our founder and CEO, Warren Kemp, that’s around 30,000 hours of stand up training, sit down one to ones and group coaching. If business books are to be believed, then that makes him a triple world class trainer! His next three day, two night all-inclusive Train The Trainer Bootcamp will run in May. To find out more and to understand if it is right for you, call Warren direct on 07976 828637, email [email protected] or contact us here at HQ. NOTE. All delegates get a FREE LIFETIME full access subscription to our online training platform ku.dos. In order to optimise your learning experience, this course is purposely run with small delegate numbers and is capped at 4. Book now to avoid disappointment! Please complete the booking form and email to [email protected]. If you have any further questions, please do not hesitate to call 0800 0749289 / +44 (0)1529 410375. Call us for an in-house quotation or email [email protected]. With 25% of the market looking to move at any one time you may feel that there are enough job seekers to go around. The problem for you with that 25% of people is that they are actively looking for work and will have other irons in their fire. The odds are in the candidate’s favour and not in yours and your client’s. So, if you want to be able to discuss job opportunities and career steps with the other 75%, you had better be able to head-hunt. NB Head-hunting is much more than sending someone a message on LinkedIn. There is a skill and an art to engaging with and approaching the passive prospect. Being able to head-hunt allows you to handle those vacancies and assignments that you would otherwise find impossible. It really does ensure that the candidates you put forward to your clients are the best available. Head-hunted candidates are highly unlikely to be presented to your client by your competitors, even when sharing a contingent assignment. Executive Search techniques are as applicable for junior positions as they are for senior ones. Head-hunting can help you get full fee assignments on a retained basis too. This busy one day participative executive search training course is suitable for consultants (both external & internal) wishing to add head-hunting / executive search to their skill set (with a good understanding of recruitment) or for experienced search consultants wishing to formalise their knowledge. Managing client expectations – Be able to explain to potential clients what is possible and within what timescales (and gain their buy in). Headhunting cannot produce the impossible. As a consultant it is your job to give best practice advice. This session will help enhance the hiring authority & consultant relationship and ensure there is a clear road map to success. 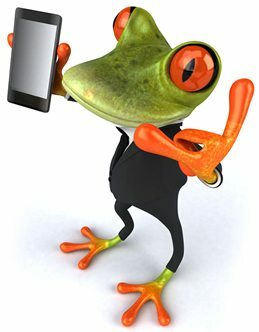 Head-Hunting methodology; managing the process; ethics – Learn how to manage an assignment in a professional logical manner ensuring continuity and consistency of results and enhance your own reputation along the way. Name gathering – including market mapping utilising both the phone and the internet – Being able to identify and target an effective list of potential contacts will ensure the success of the assignment. Doing it in a timely way is vital. Due diligence & building credibility – While the phone will be your main tool to approach your potential candidate, the internet is a valuable source for information about the person AND for them to check you out. There are some key steps that will be explained to help warm up your call. Rapport, commitment & control – Those first few opening moments over the phone are crucial if you are to extend your ‘air time’ into a meaningful two way fact finding conversation. Although you cannot control people, you can control process and gaining the candidate’s commitment is the key. Learn the tried and tested ways to do just that. The head-hunt call & subsequent conversations – Knowing what you are going to say is half the battle. Knowing how and when to say it is the other half. Few recruiters without formal head-hunt training really know just how to do that. Learn the methodology and psychology behind a truly effective opening to a prospective candidate and how to link information gathered from the candidate previously into each subsequent stage of the consultant/candidate relationship. Overcoming objections and reactions – Practice really does make perfect. “Where did you get my name?”, “I’m happy where I am”, “Who’s your client?” and a dozen others come up time and time again. Being able to overcome these responses to the candidate’s satisfaction is the key to starting a long lasting business relationship. This session will give you the tools to do that. NOTE : For consultants wishing to explore the sales process and the pitch itself, our ‘selling executive search’ course detail is here. Warren Kemp is one of the most sought after specialist trainers and management consultants around today. He has been training individuals and organisations in the art of head-hunting for some 20 years. His clients span small independent start-ups to some of the major names in the recruitment industry and to date have come from 25 different countries worldwide. 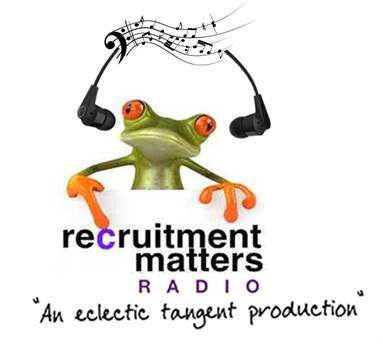 As well as his training and consultancy services, Warren is one of the leading audio presenters and authors on recruitment matters. Go to ku.dos online training to find out more! NOTE. All delegates get a FREE full access subscription for our online training platform ku.dos. In order to optimise your learning experience, this course is purposely run with small delegate numbers and is capped at 12. Book now to avoid disappointment! Although not confined to the executive search arena, retained assignments predominantly go hand in hand with the need to headhunt a key role and/or a client paid advertising campaign. Winning a retainer is a difficult sell. We have been training individuals and organisations in the art of the executive search, headhunting and the direct approach since 1998. Our Successful Head-Hunting training course is suitable for Executive Search firms and those wishing to add headhunting to their core offering (whether you sell it as a service to the client or not) and deliver quality candidates. This Selling Executive Search & Winning Retained and Exclusive Assignments one day course will give you the tools to sell those skills & methodology to your clients. Our lead trainer and MD Warren Kemp has trained more people and delivers more courses in headhunting and executive search than any other trainer around today. One of the most difficult management challenges there is in recruitment is to run a billing desk and find time to look after others at the same time. Getting the balance right isn’t easy. Yet, by consistently following some simple rules, and having the knowledge of when and how to get involved with those reporting to you, it is something that can be relatively straightforward. With all of us facing some challenging times ahead, it isn’t simply good management but great motivational skills, too, that will help make the difference. This one-day introduction to managing & motivating people and teams is ideal for recruiters who are new to management and for the more experienced manager who has perhaps been self taught or had no formal training. Stewart Stone specialises in management training and leadership development within the recruitment sector. He is also an expert in how to recruit recruiters at all levels, and retain and motivate employees. For more information on Stewart, please visit our Meet The Team page. In order to optimise your learning experience, this course is purposely run with small delegate numbers and is generally capped at 12. Book now to avoid disappointment! Sales professionals who have a good working knowledge of how recruiters add value to their client base and wish to further develop their relationship building and influencing skills. Also individuals who wish to become more consultative in their approach to developing client relationships, particularly face to face. Individuals who wish to be more focused and assertive when meeting clients face to face. Understand the importance between a transactional and consultative sales approach. Develop behaviours and qualities of a successful consultative sales professional. Understand the benefits of undertaking a client meeting from both a client and recruiter’s perspective. Understand the agenda of different buyer groups and be able to adapt your approach to increase influence. Confidently ask for, plan and proactively manage a successful client meeting. Build rapport by conducting and using research gained prior to the meeting. Use questioning techniques to identify specific and relevant client needs and problems ensuring that solutions are relevant, personal and add value. Understand why active listening is important in building a consultative sales approach, and be able to develop inter personal and active listening skills. Understand the difference between discounting and negotiation, with a focus on gaining mutually beneficial outcomes. Overcome client objections and gain commitment by successfully closing the meeting. Proactive negotiation, overcoming objections and closing the sale are part of the structure. Andrew Carr is an Institute Of Sales Management (ISM) Sales Master Practitioner and award winning learning professional who, for the past 20 years, has worked with a variety of staffing companies across many recruitment sectors advising on and delivering results focused learning programmes. For more about Andrew visit Meet The Team. NOTE. All delegates get a FREE lifetime access subscription for our online training platform ku.dos.